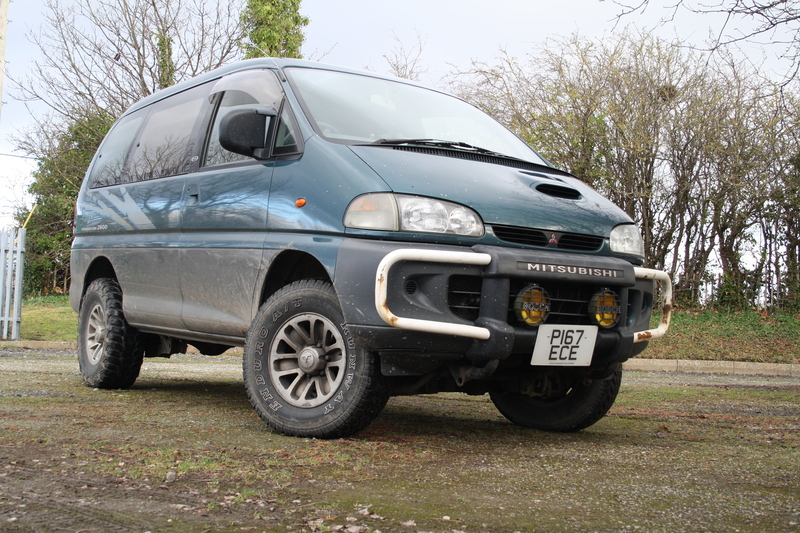 Road Test: Mitsubishi Delica L400 – HubNut – celebrating the average! EDIT – Video Review now available! I’ve always loved off-roaders, though I’m very quick to distance myself from those who go tearing around the countryside upsetting ramblers, churning up byways and going where they like. Nor am I particularly interested in getting stuck and needing thousands of pounds of kit to get me moving again. Pay and Play sites can be fun, but there’s a bit too much focus on driving like an idiot for my liking. Delica. No award winner for beauty! No, to me, an off-roader is a car you use like a car, but which you also use for heading off the beaten track when needed. This brings me neatly to the vehicle tested here. It’s a Mitsubishi Delica L400, owned by someone for whom a 4×4 is essential. It gets used to drive across muddy fields to collect wood and even the chap’s driveway is a struggle at times. A 4×4 isn’t a nicety – it’s essential really. A great off-roader isn’t enough though. Occasionally, it gets used as a tour bus for his musical endeavours, so the six comfortable seats it has are also necessary. As is the ability to eat up a lot of miles in comfort and relative quiet – something the traditional Land Rover is not exactly known for. It was people carrying duty that gave me a healthy dose of wheel-time in this hard-worked steed. A 230 round-trip to North Wales gave me plenty of time to acclimatise. The first thing that strikes you about the Delica is how ridiculous it looks. She’s no beauty, and it looks a bit like a home-brew attempt to make a monster truck out of a van. They’ve always looked rather precarious to me, so I was interested to discover how it behaved. Clambering aboard, which is a bit of a challenge at first, I was struck by the typical Japanese ergonomics. There are buttons all over the place, though this example is further ‘enhanced’ by a large section of missing trim, some buttons that fall off when you press them and a cork that replaces the missing overdrive switch on the column-mounted gear lever. Oh yes, a column mounted lever! Just like the old days. Well, if it works, why not? The floor is quite high, so you don’t sit in quite the impressive manner of a Range Rover. Your view is certainly impressive however. Forwards at least. Large door mirrors aid rear visibility, which is good as ‘privacy’ netting rather restricts vision through the windows themselves. On the move, it all feels rather tight and not as wobbly as you might expect. There’s very little bodyroll and while the ride can be crashy, it’s not uncomfortable. The steering is nicely weighted and accurate too. We suspect the transmission wasn’t in finest form on this one as it did a peculiar thing when it reached top gear, and actually accelerated despite lower engine revs. The ‘automatic with overdrive’ is a novelty too, but does mean low-rev cruising. 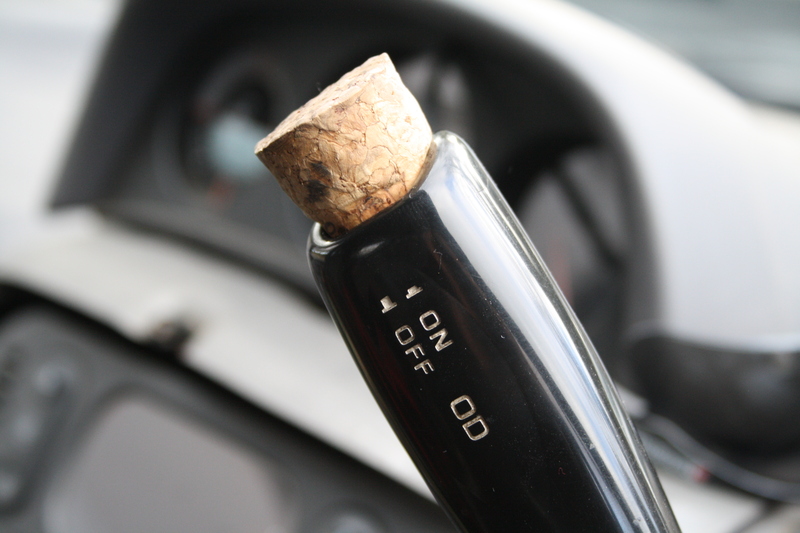 Pulling the cork out turned the overdrive off and gave the engine an easier time when coping with gradients. Incidentally, FX4 Taxis with the automatic gearbox usually have a similar overdrive system. While this certainly isn’t a fast-accelerating machine though, it does build up speed nicely – which is what you want when carrying passengers. You don’t really want neck-snapping power. It did feel like it could really pick-up pace if you wanted to, but it did also suggest that doing so would generate an awful lot of engine noise and cause the economy to suffer to a very large degree!